1. 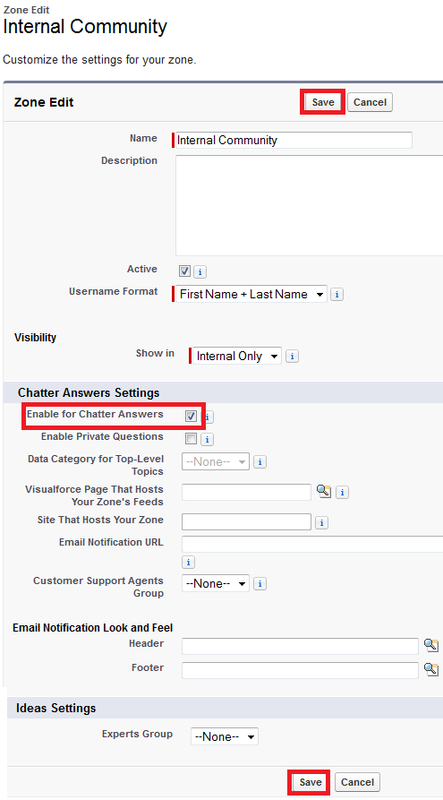 Go to Setup --> Build --> Customize --> Chatter Answers --> Settings. 3. 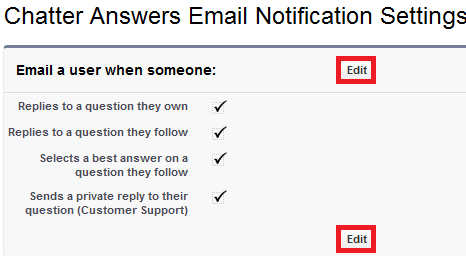 Select "Enable" check box. 1. 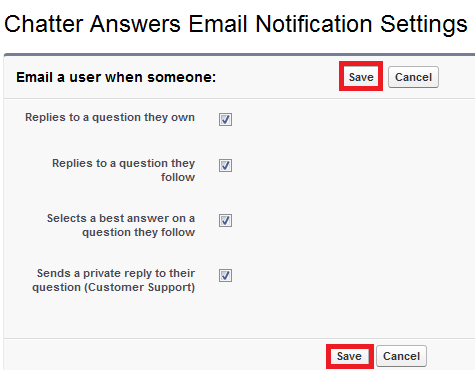 Go to Setup --> Build --> Customize --> Chatter Answers --> Email Notification Settings. 3. 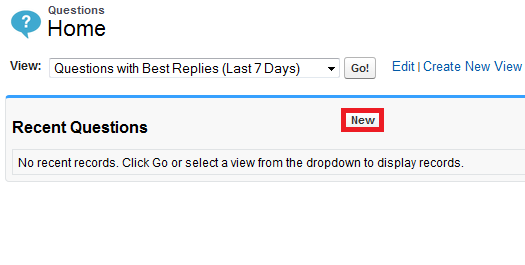 Select the required options. 1. 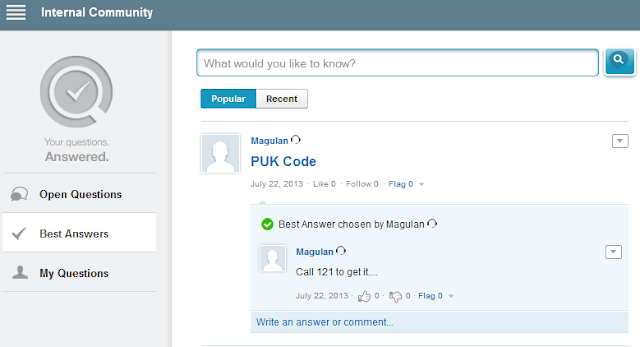 Go to Question tab. 4. 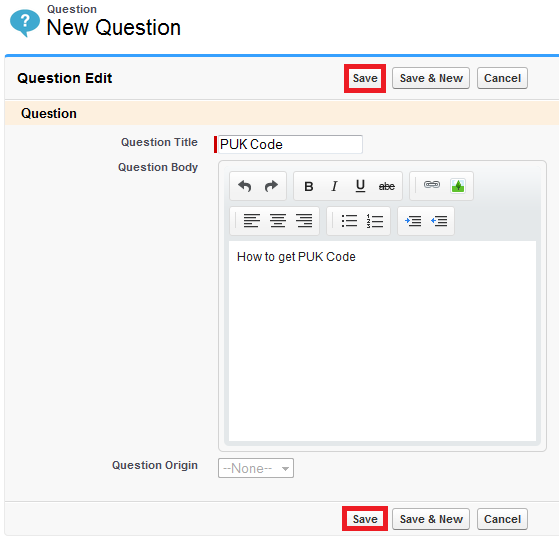 Create a Question and click "Save" button. 5. 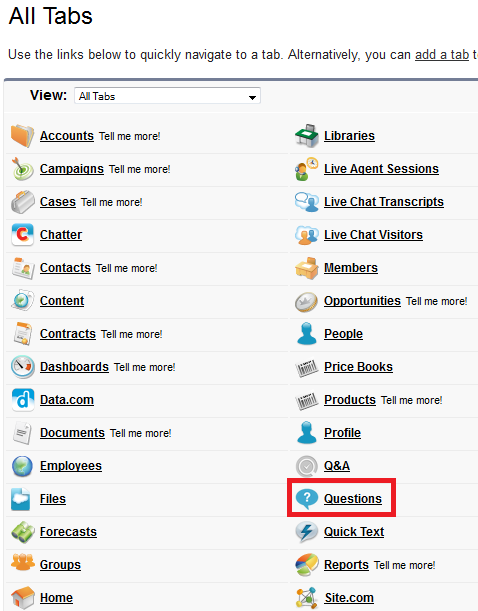 Click "Answer" link to answer and click "Answer Customer & Zone" to save it. 6. Click "Best Answer" link to make it as the best answer. 1. 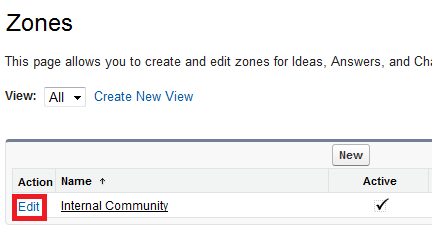 Go to Setup --> Build --> Customize --> Chatter Settings --> Zones. 3. 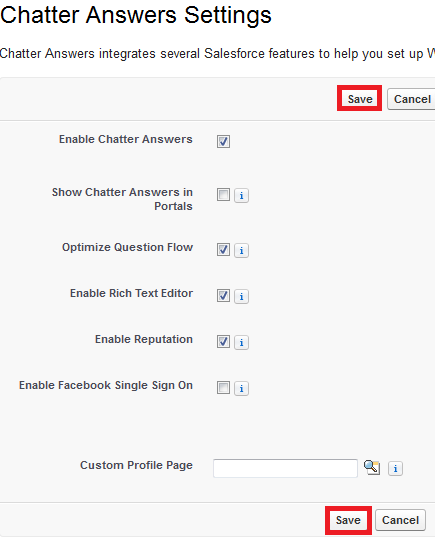 Enable "Chatter for Answers" check box. 4. 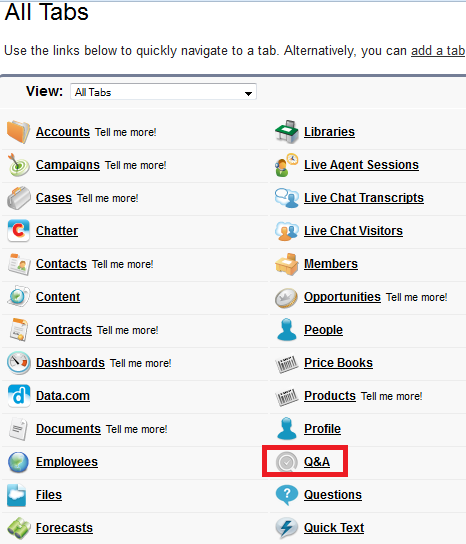 Go to Q&A tab.